Florida Highway Patrol accident investigators are looking into what led to a fatal two-vehicle accident that occurred on September 8. FHP officers say that the accident occurred around 8:00 p.m. at South Orange Blossom Trail and 43rd Street. A FHP spokesperson said that 911 dispatchers received numerous calls about the accident that evening and when emergency responders arrived at the scene, they found two badly damaged vehicles that were blocking the road. They report that one of the vehicles involved in the accident, a small four-door sedan, was crushed so badly on the passenger side that firefighters had to use the Jaws of Life to extricate victims from the wreckage. The other vehicle involved in the accident was a minivan with extensive front-end damage. The two people in the sedan and the lone occupant of the minivan were transported to Orlando Regional Medical Center, where two of them died from their injuries. Have you been injured in an auto accident? If you have and would like to speak with an Orlando personal injury attorney, call the Law Offices of James O. Cunningham at 888-425-2004 or 407-425-2000 today to schedule a free consultation. 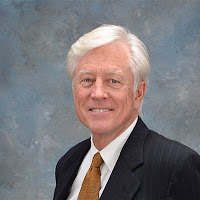 Mr. Cunningham has made helping injured people the foundation of his law practice since 1977 and has the experience, resources and skills to help you receive the fair and just compensation you deserve. He gives each client and case the individual attention they deserve and has a proven record of success helping clients receive damages through negotiated settlements and court awards. If you were injured by a negligent driver and want to learn more about your rights and legal options, call today for effective and aggressive legal representation.